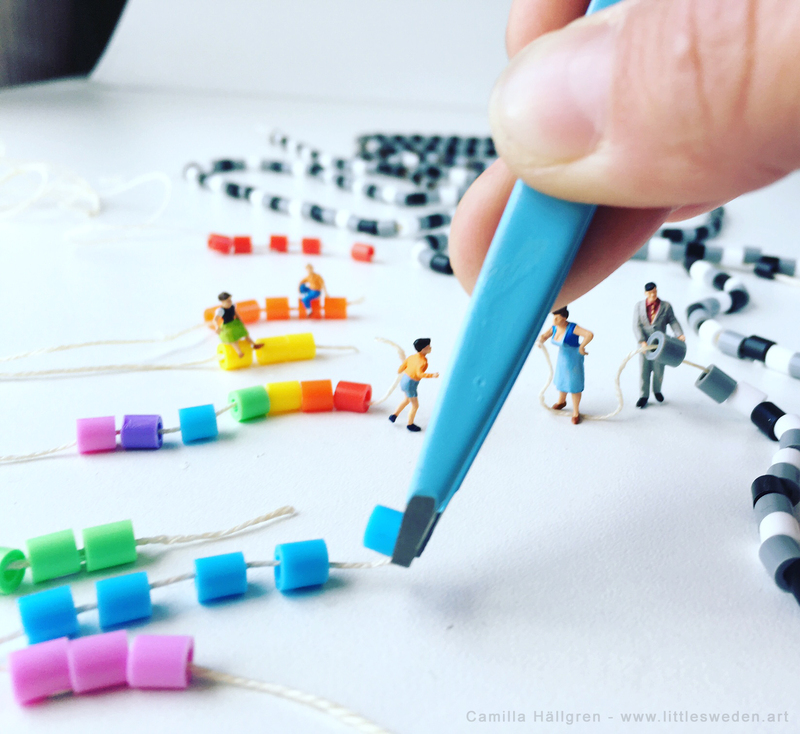 Composing “Norms on a String” by using model train figures (1:87), everyday items (1:1) and a macro lens. 2016 – The Huffington Post: ”These Playful Pictures Of Toy Figures Pose Serious Questions” By Lee Moran. 2016 – Le Petite Journal ”LITTLE SWEDEN ART – Quand la recherche universitaire se réinvente” By Margot Page. 2016 – Mashable.com: ”Artist uses mini figures to highlight big social issues on a small scale” By Matt Petronzki. 2016 – Umeå University News: ”Life explored in a playful format – Art Blended Research” By Maja Bonta. 2016 – Interview in Swedish Radio.”Umeåkonstnär uppmärksammas i USA” By Mikael Hermansson.